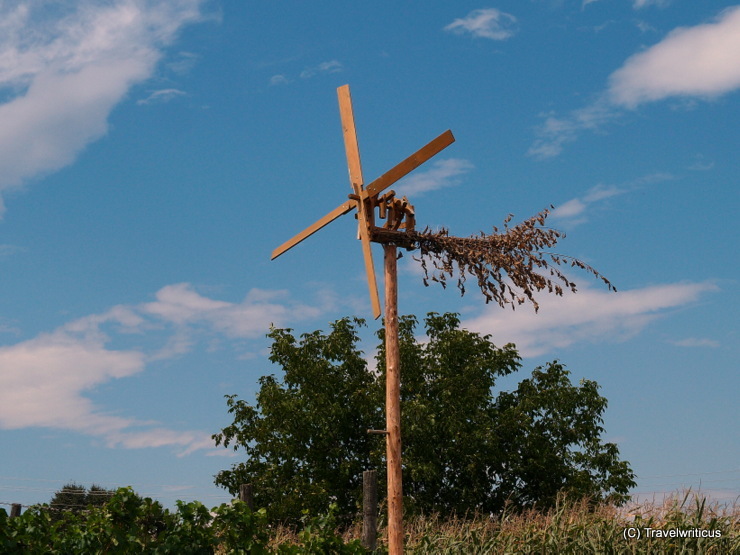 The Klopotec is used as a bird scarer in the vineyards of traditional wine-growing landscapes of Slovenia, Austria, and Croatia. 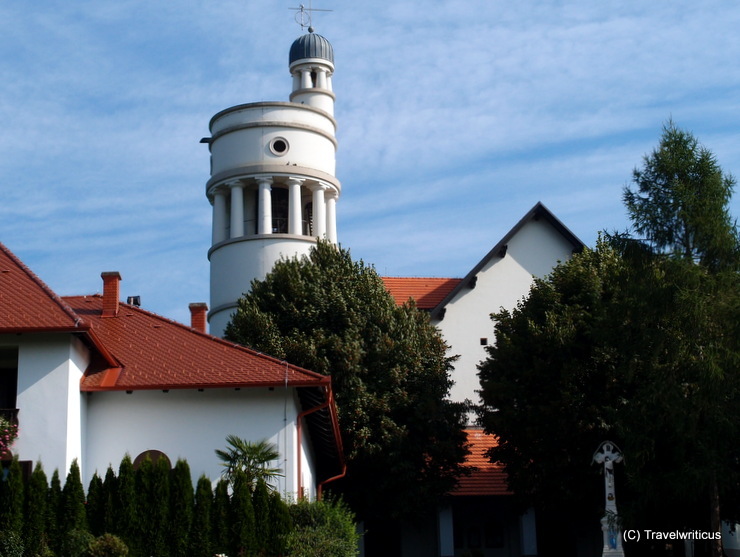 The pic above was taken in the Slovene region of Prekmurje. In Austria the same device is generally known as Klapotetz or Klapotez. 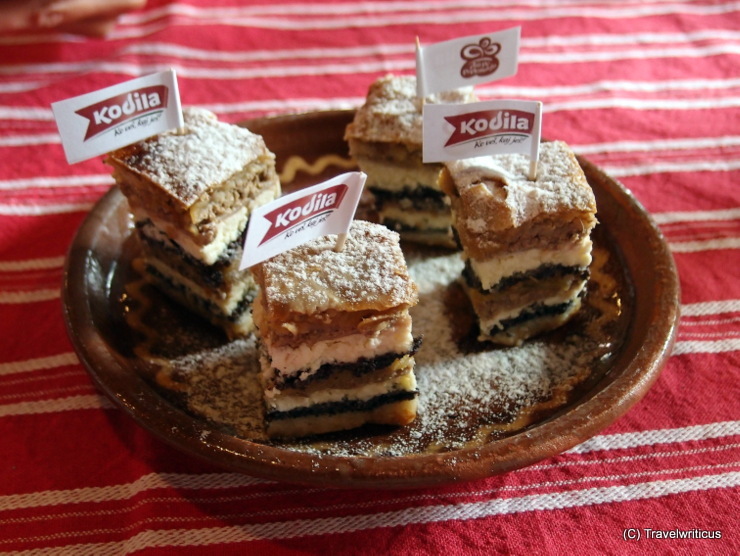 The Prekmurian layer cake (prekmurska gibanica) is a traditional dish in the Slovene region of Prekmurje. It contains poppy seeds, quark, walnuts and apples. An old cash register seen at the ham manufacture Kodila in Murska Sobota, a city in the Slovenia region of Prekmurje. 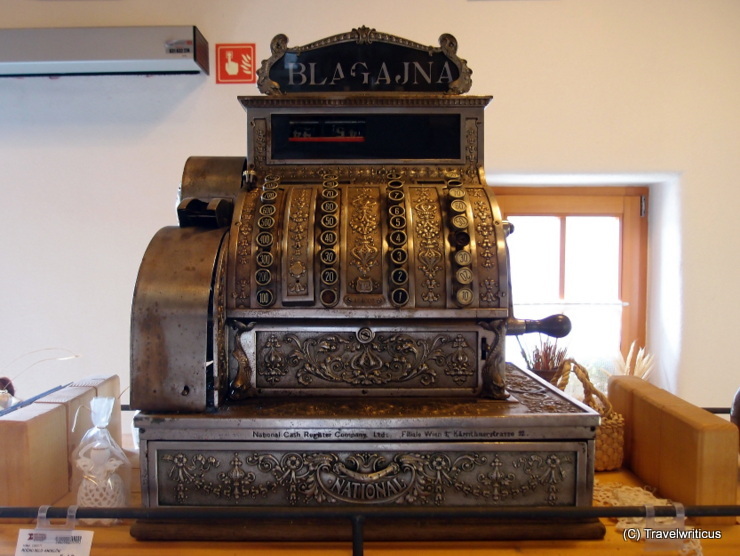 Blagajna is the Slovenian word for cash register or till.